Do you know what makes a good drink? The answer is fresh ingredients. It’s the same with food recipes too. You get really fresh ingredients and the whole becomes greater than the sum of it’s parts. So how do you make drinks with fresh ingredients? 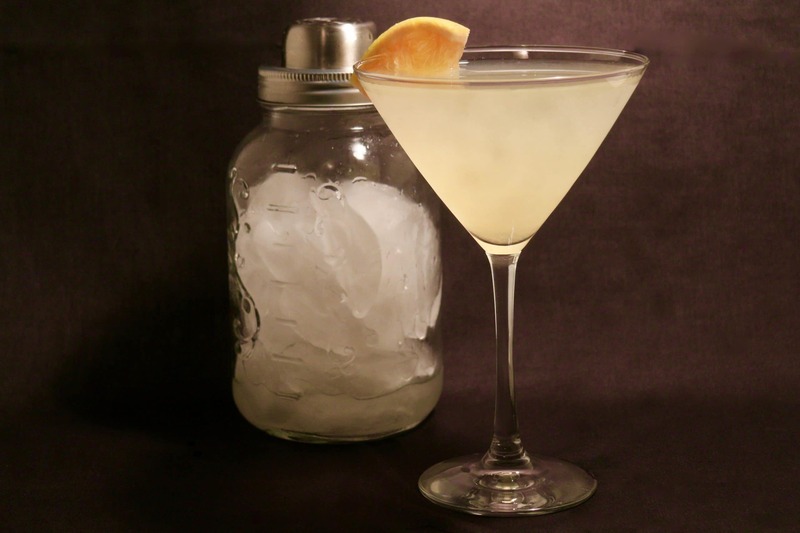 Lets make a grapefruit vodka martini and I’ll show you. Before we make the grapefruit vodka martini, lets take a quick look at the very common and very boring drink the screwdriver. It’s just vodka and orange juice right? Now did you ever have one when you were vacationing somewhere tropical? I bet that was the best screwdriver you ever had right? Its safe to say that it was because if was made with fresh squeezed orange juice. Now lets get back to the grapefruit vodka martini. Take a grapefruit and juice it. If you have a juicer this is pretty easy to do. And even if you don’t, just cut it in half and squeeze it into a measuring cup or bowl or something. Try not to get the pits in there. But if you do, you can run the juice through a strainer before it goes in the cocktail shaker. 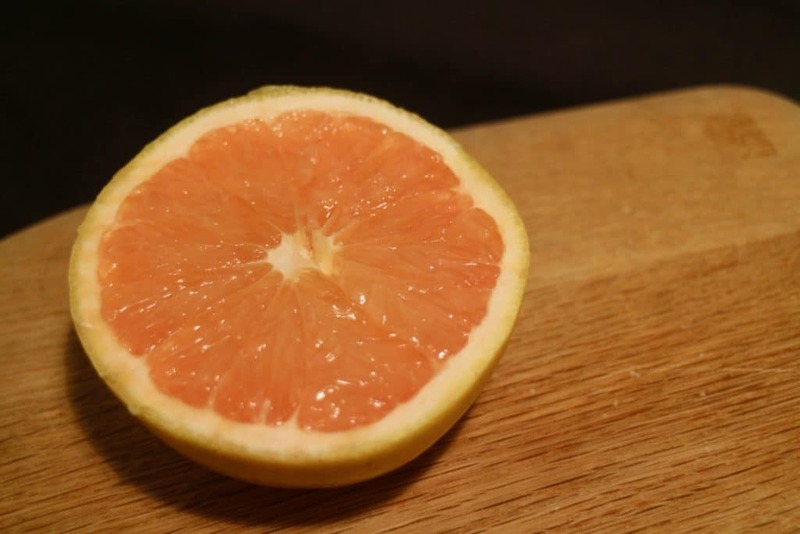 The sugar is optional and you should only add it if you enjoy sugar on your grapefruit. You can add a 1/2 oz of simple syrup instead. I have a long history with grapefruit and vodka. Let’s turn the wayback machine to 1987 and zoom in on Tammy Hall in New Rochelle, NY. It was a college bar near Iona college and all you needed to get in was a college ID. My friends and I usually went there Monday nights and then Thursday through Saturday nights too. You see the college ID part was good because we were only 19 at the time and really couldn’t get in to other bars. This was really my first real bar experience. Beer was easy to order but when you wanted to stand out you ordered a cocktail. I don’t know which one of genius friends was the first to order it but after a while we all started drinking Slo Gin Fizz. Now this is pretty humorous for several reasons. The first reason being that here was a bunch of young males, ex High School Football types. We were all trying to look cool and we were drinking these ridiculous drinks. The second reason why this is humorous is because it was such a dive bar. 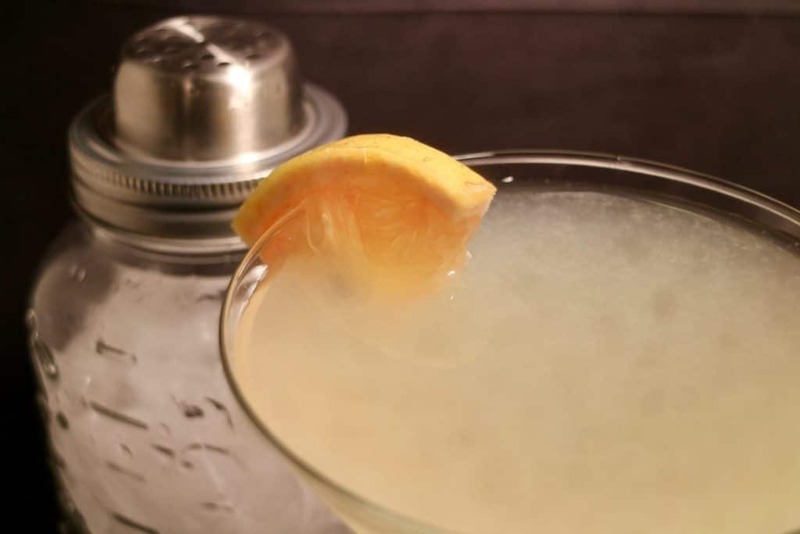 There’s no way they had lemon juice or egg whites there to make us a real slo gin fizz. The bartender probably gave us something like gin with 7-Up and grenadine. Then at some point I decided to switch it up and started drinking vodka grapefruit. It was much more sophisticated than beer and it was more manly than those slo gin fizzes that all my friends had. So I felt like the big man on campus with my citrusy cocktail. I’d drink those all night and then usually woke up the next day with my face puckered up like I just shoved a whole bag of sour patch kids in my mouth. Ahh, good times. So what was my point with this trip down memory lane? 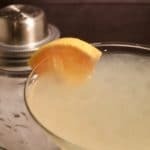 Ah yes, the point is that I drank many many many grapefruit drinks over the years and I feel like I’m qualified to share this grapefruit vodka martini recipe with you today. Now I don’t recommend offering this martini at a party or when you have company because you’ll spend your whole night squeezing grapefruits. Grapefruit juice tastes good out of a carton but it tastes even better when it’s fresh squeezed. It’s an easy thing to make things taste better using fresh ingredients. And a freshly squeezed grapefruit vodka martini is especially good as an evening cocktail after work.